In the beginning of the summer of 2010, the mission trip to Haiti was a great success. From May 15th through the 21st my wife Pricile and I made arrangements in Le Cayes, Haiti to receive a group of workers from Las Americas Missions organization and First Free Will Baptist Church of Seffner for our first week of work. Among them were Brother James Jackson, a plumber, Mr. Paul Miller, an electrician, James Ellington, a carpenter, Brother Freddy Rodriguez, a painter, and the Pastor Moses as the Vice President of Las Americas. 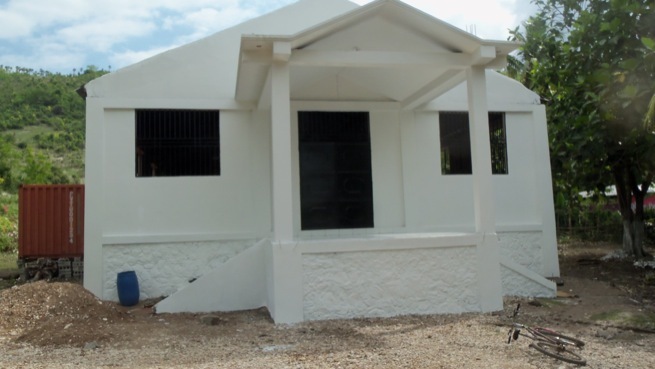 We thank everyone who cares enough to support our project in Boileau, Haiti, which the Lord has given us. During the first part of the trip, we were able to paint the inside of the church, run pipes and wires for electricity, hang the inside doors, install the toilets, and run the pipes outside the church for a new electric pump allowing the bathroom to be functional. The second week our next group continued to do good work, laying one hundred eighteen square feet of ceramics in the church and organizing two days of meals to feed the people of the church and the students at Ecole Evangelique Baptiste de Boileau. In two days, we were able to feed four hundred people. We also distributed some gifts such as toys, candy, shoes, and clothes to both the church and the school. On the third week, we received Dr. Brett Frazier, a family doctor, as well as, my youngest son Pierre K. Jeannot. During this week, two great activities took place. Dr. Frazier treated people every day. In four days, he diagnosed around 229 patients and gave medicine to everyone free of charge. Secondly, while the medical clinic was in process, area carpenters worked tirelessly making the new pews for the church.